It's a bird! It's a plane! 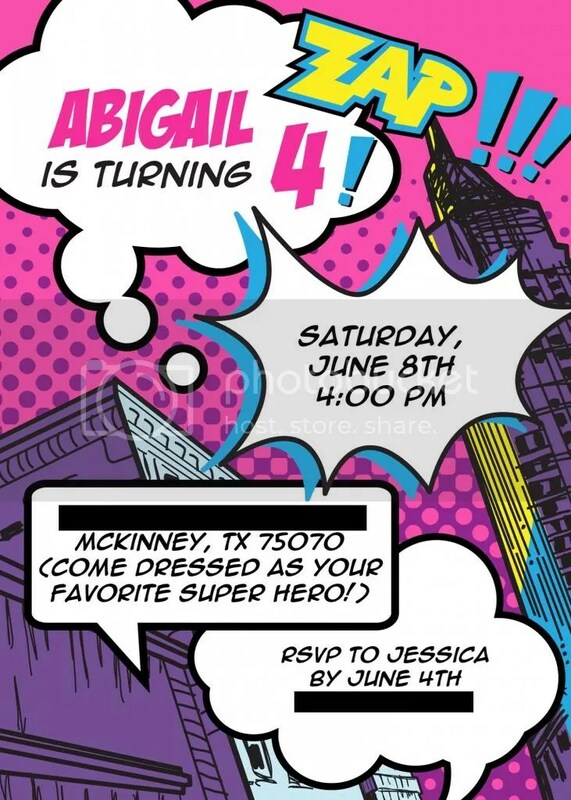 It's Super Abigail!! - Life. Love. Reality. It’s a bird! It’s a plane! 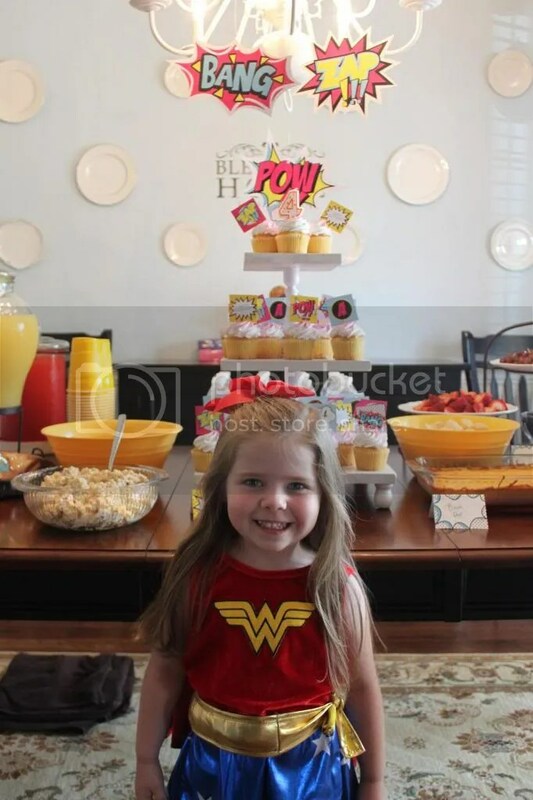 It’s Super Abigail!! 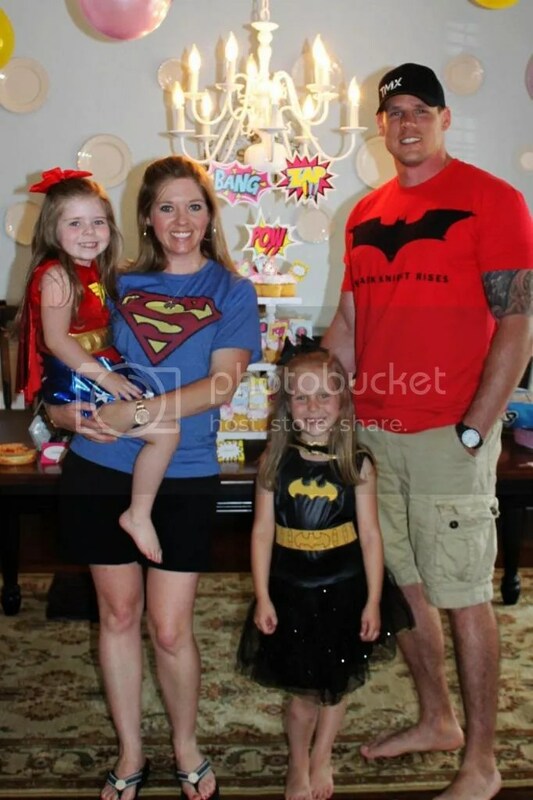 Abigail loves superheroes! 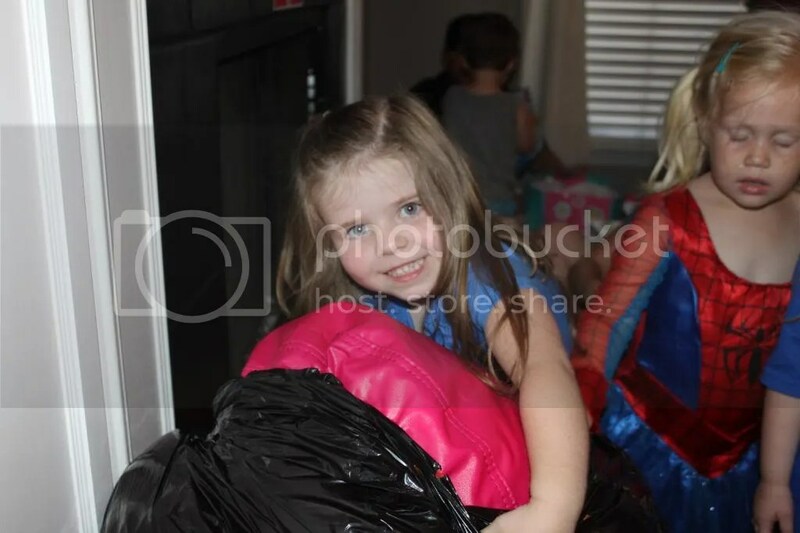 Last year after her birthday, she said she wanted to have cotton candy birthday party, so this momma started planning for that. 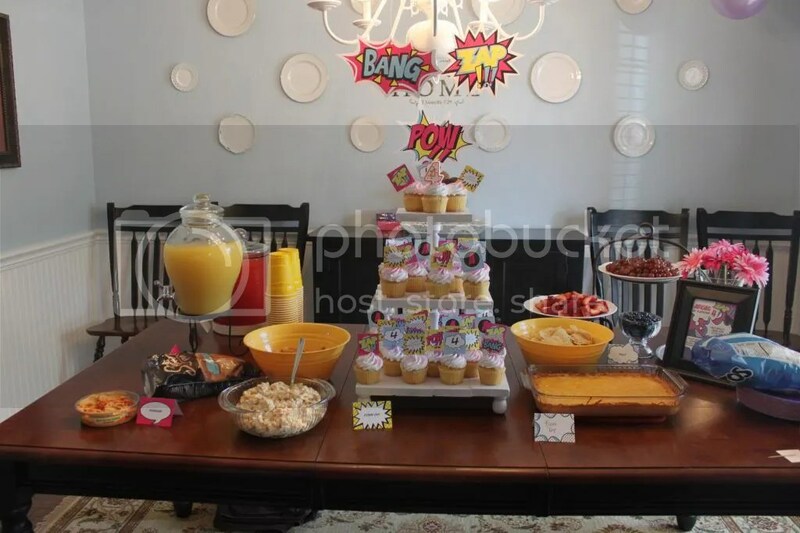 However, around Christmas, she changed her mind and wanted a superhero party. 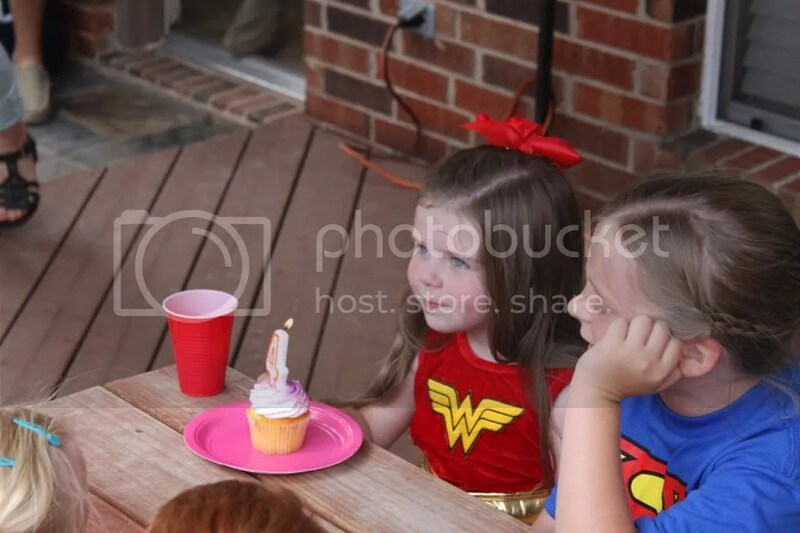 She loves being a superhero so much that when she says her bedtime prayers she thanks God for making her a superhero. 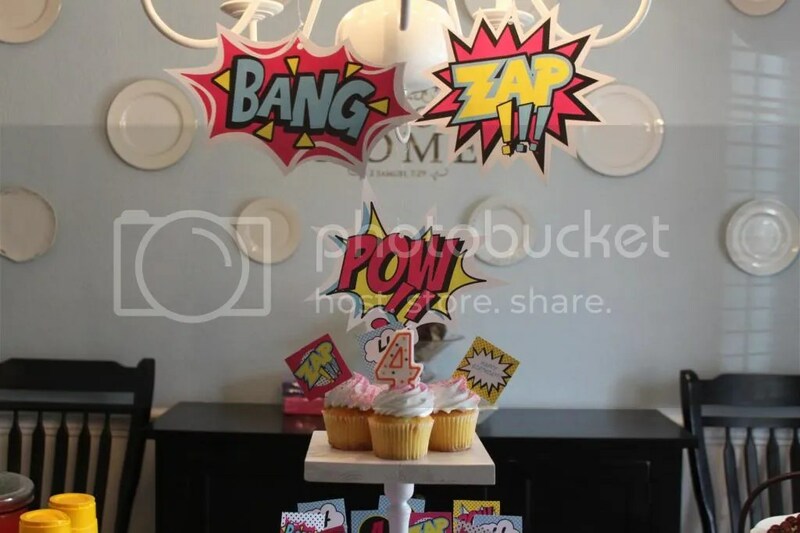 Super cute invitation that I found on Etsy. 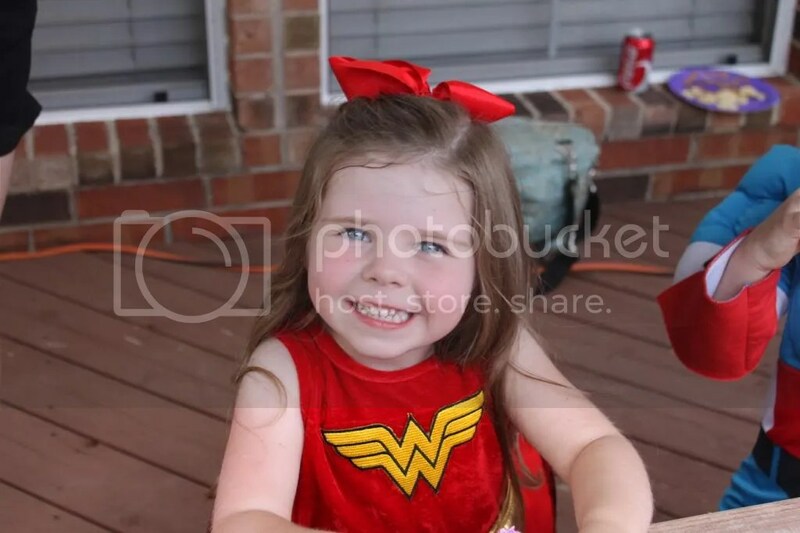 Wonder Woman aka Abigail White. Close up picture of the cupcakes. 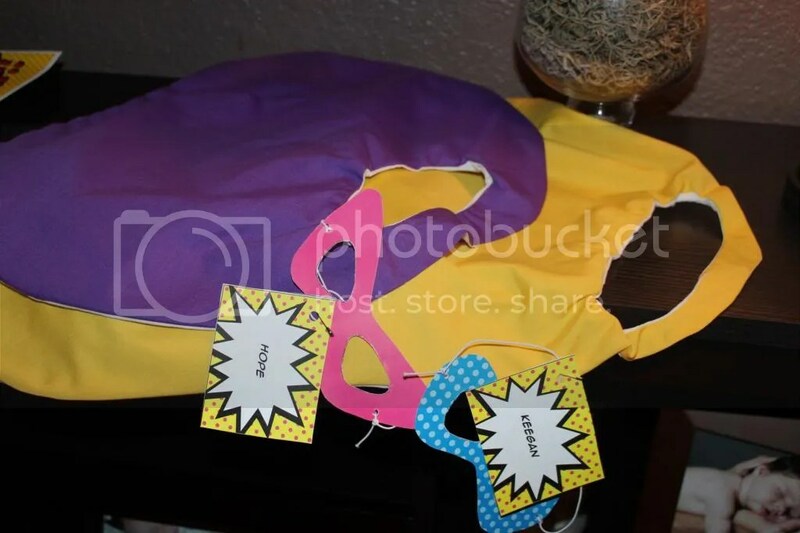 Every child went home with their own superhero cape and eye mask that were handmade by me. 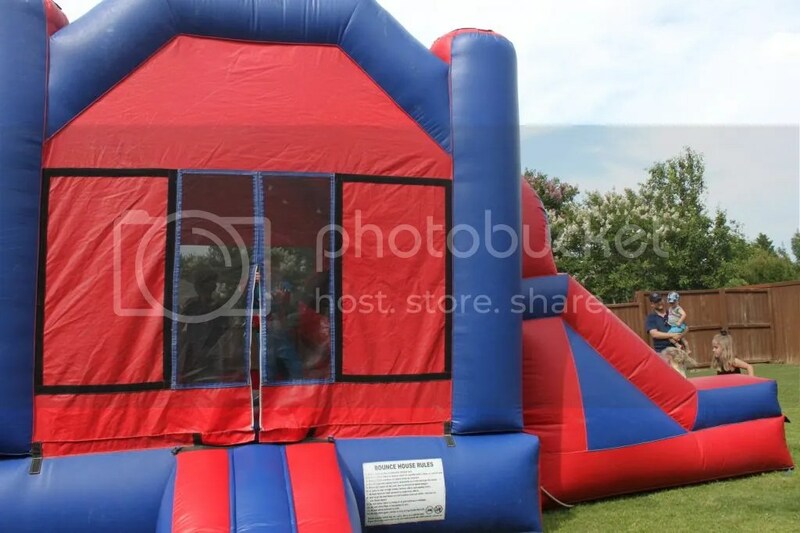 We have never had a bounce house for a birthday party but decided we needed one this year and it was the best last minute decision we made! All the kids loved it. After all the kids left the adults got in and had some fun. 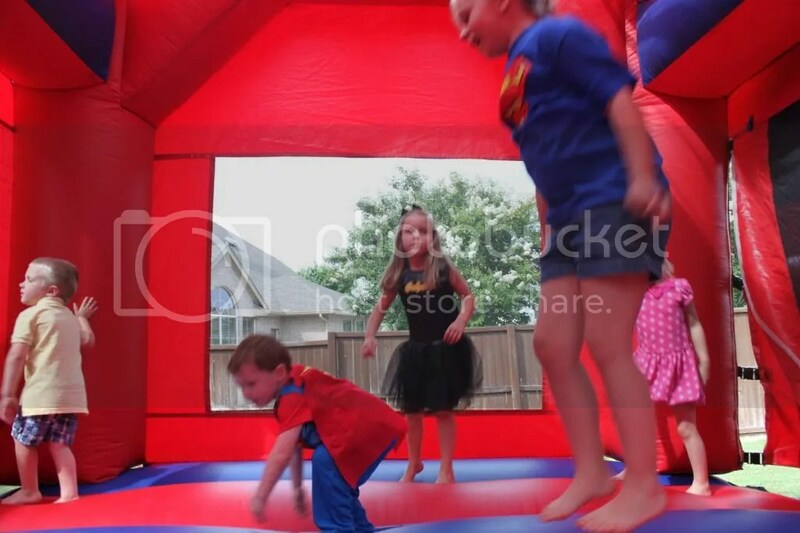 Some of the kids in the bounce house. 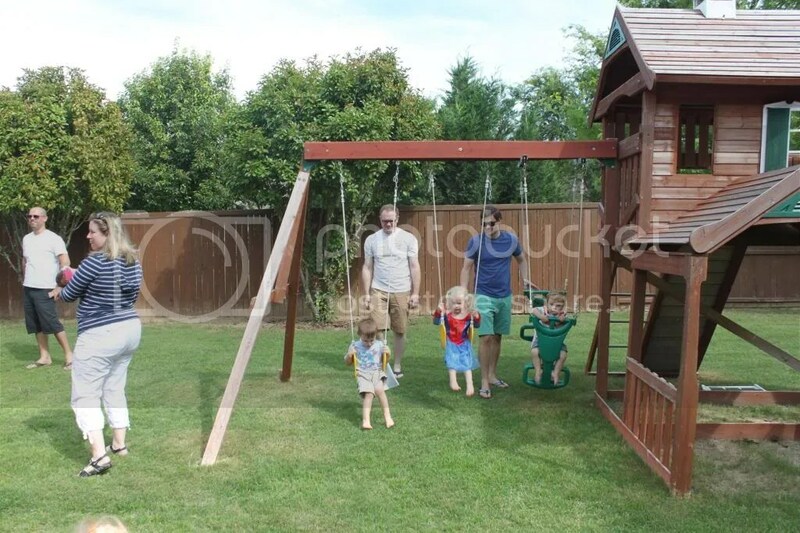 and others swinging and playing in the playhouse. time to sing Happy Birthday. 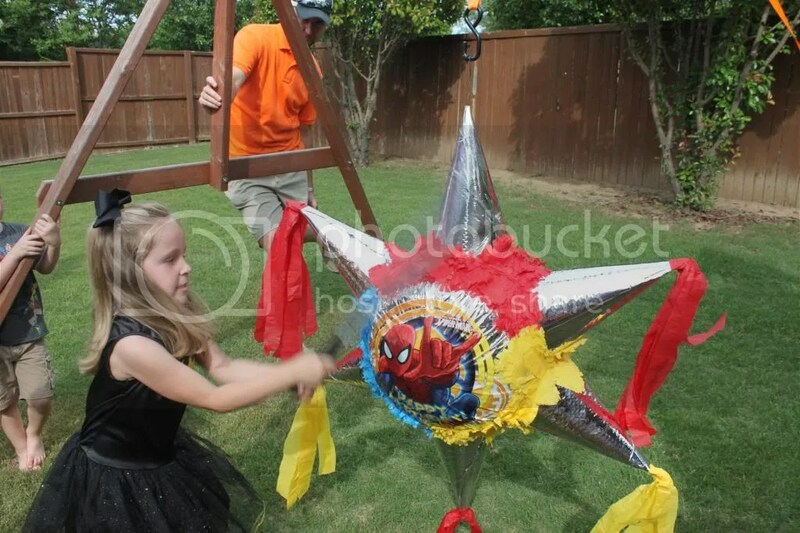 and HUGE superhero piñata came with the bounce house. 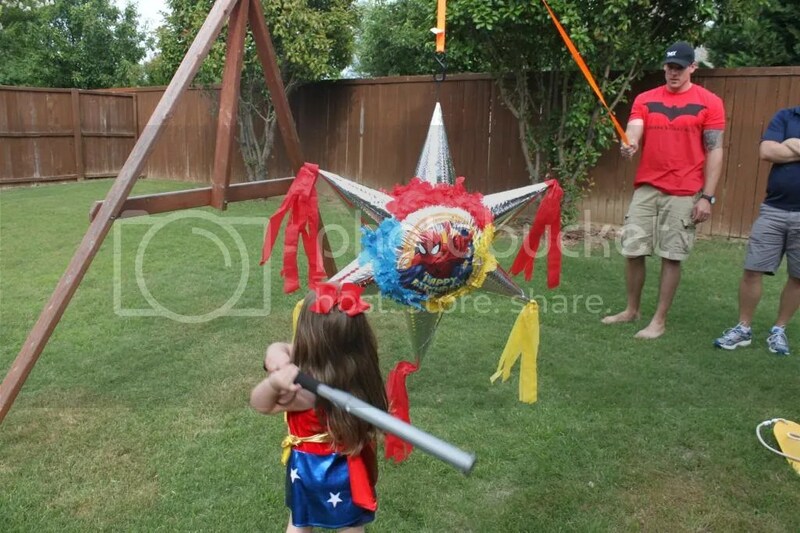 The kids had so much hitting the piñata. 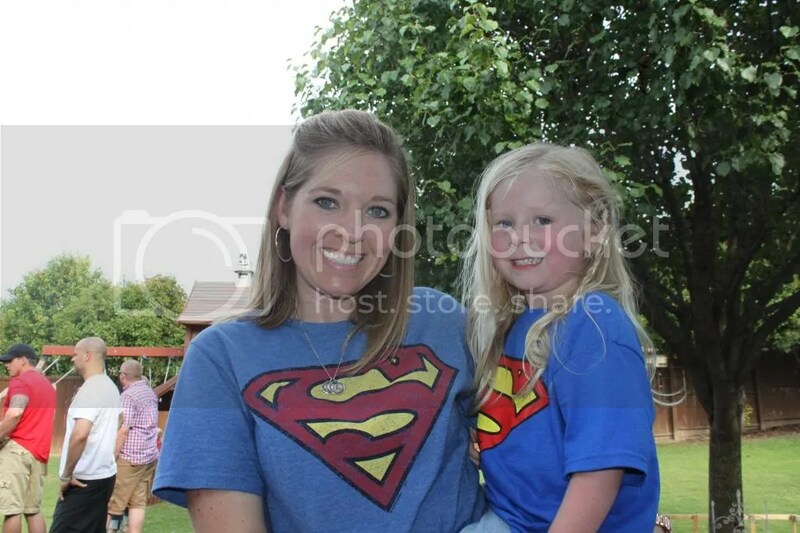 my nieces both came in superman shirts – unplanned but so cute. 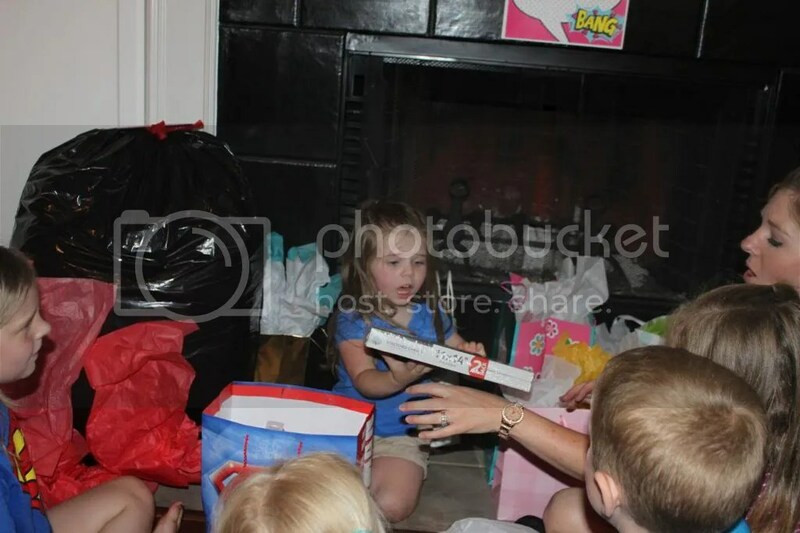 The first present Abigail opened was her Jack and the Neverland Pirates sword. She was so excited about this present because she loves being a pirate too. 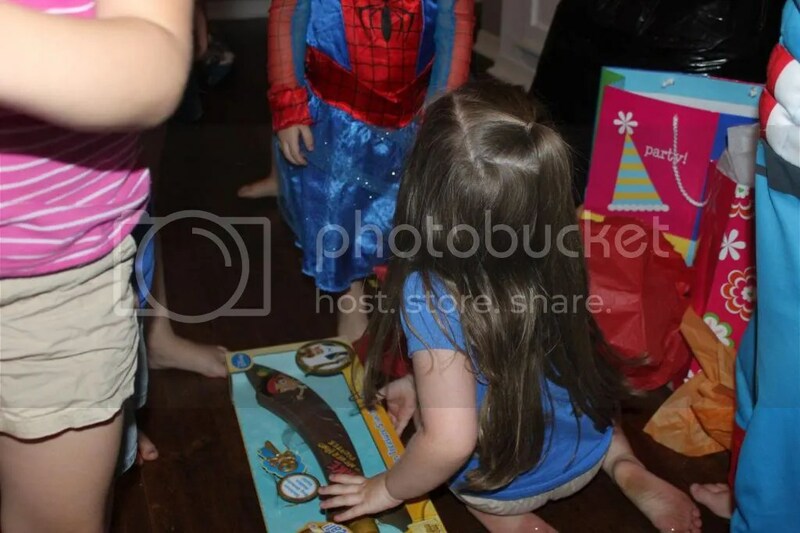 She got so many cute presents. 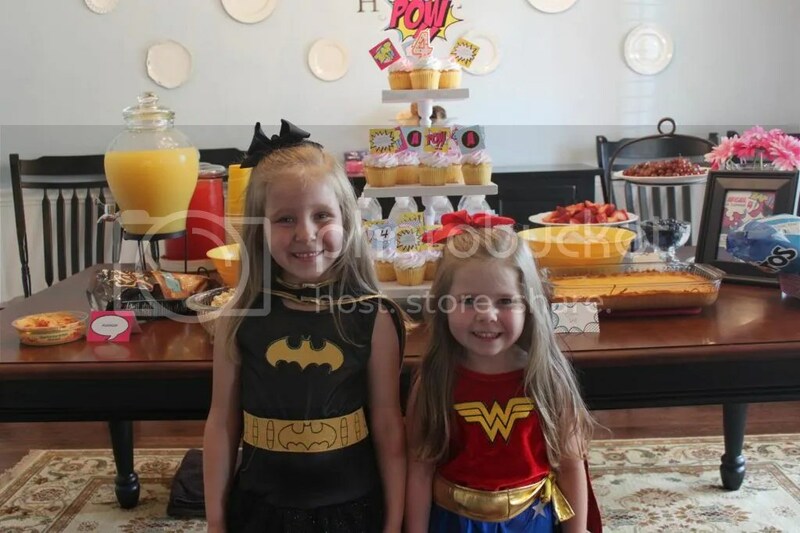 Abigail had a great Superhero Birthday party! Thank you to all our friends and family that were able to come celebrate with us. We are so blessed to have all of you in our lives.